Australia Post’ utilises its nationwide infrastructure to offer third party logistics solutions to major third party retail companies such as ‘Best & Less’. ‘Australia Post’, in conjunction with ‘Best & Less’, recently decided to implement a real time logistics system to ensure fast and efficient logistics control. 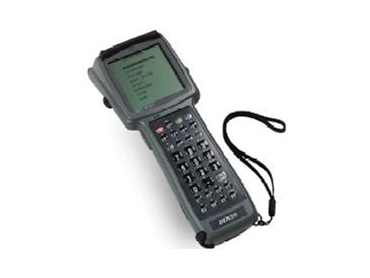 The more suitable barcode scanners were found to be Denso Radio Frequency (RF) mobile terminals. The real time barcode solution that was implemented runs the PowerNet Telnet client on Denso mobile terminals. This system allows the client to connect across a Wide Area Network to the host AS/400 server. The system was implemented by ‘Barcode Data Systems’ (BCDS). BCDS offer sales, installation and comprehensive post-sales support services for data capture solutions. They have a long history spanning more than 20 years in the Australian data capture market and are accredited Denso and Connect Powernet distributors. The logistics system at ‘Australia Post’ enables stock management tasks - such as the receiving of stock, dispatch of goods, picking of orders and stock taking operating within sub second response times. This is made possible through the use of a PowerNet Client running across a CISCO 11MB RF backbone connected across a Wide Area Network to the ‘Best & Less’ host AS/400. Each mobile terminal communicates in real time to the host AS/400 server located at the ‘Best & Less’ headquarters. The sub second WAN connection ensures database records are always accurate. The Denso BHT 7500W barcode scanner is an integral part of this logistics system. The barcode scanner was the ideal mobile terminal choice due to its combination of user friendly ergodynamics and durable design. The BHT 7500W is the light terminal (300g) that can provide a fully functional keypad. Telnet applications require alpha character key input and a full set of 10 function keys for efficient use. The large high resolution screen is also orientated so the operator can clearly view the displayed data while scanning barcodes. The PowerNet Telnet client offered ‘Australia Post’ advanced interface utilities to fully utilise the features of the Denso BHT 7500W. ‘Australia Post’ has been able to configure log on scripts and barcode editing functions that have reduced development costs of the system implementation. This has significantly reduced the costs of implementing the RF Radio Frequency logistics system. The Denso BHT 7500W barcode scanner is available from BCDS Identification Technologies .